SOUTH SAN FRANCISCO, Calif., April 9, 2019 /PRNewswire/ — At a national award ceremony hosted by the Center for Green Schools at the U.S. Green Building Council (USGBC), in collaboration with the Green Schools National Network (GSNN), South San Francisco Unified School District (SSFUSD) was named one of only nine national recipients of the 2019 Best of Green Schools Awards. The awards represent the best environmental efforts in schools across the country and highlight national leaders in school sustainability. 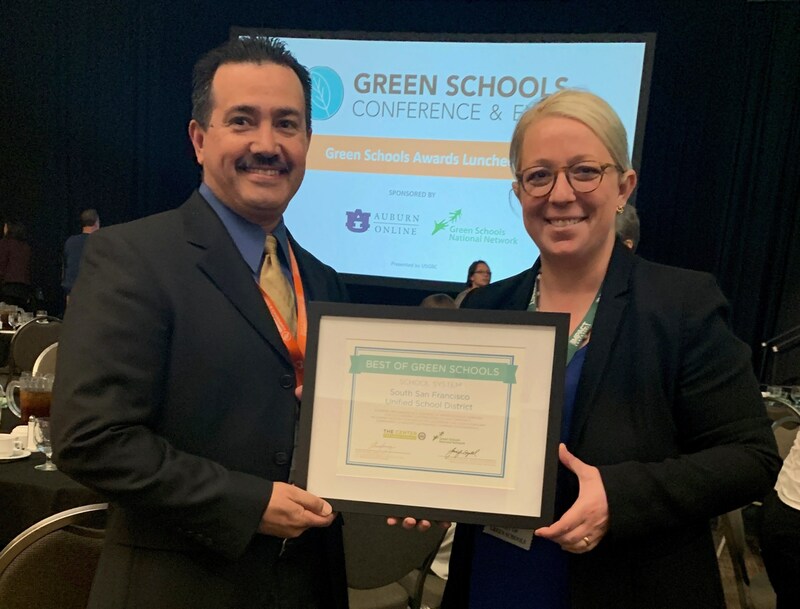 Along with fellow honorees and their long-term energy partner ENGIE Services U.S., SSFUSD accepted their award at the USGBC’s Green Schools Conference and Expo on April 8 at the Saint Paul, MN RiverCentre. ENGIE Services U.S. team members celebrate partner South San Francisco USD’s 2019 Best of Green Schools designation at the awards ceremony on Monday, April 8, 2019. Through a long-term partnership with ENGIE Services U.S., SSFUSD is in its ninth year of leading their district-wide sustainable energy and STEM education program. Serving SSFUSD’s nearly 9,000 students, the program includes 2.02 megawatts of solar capacity, new LED stadium lighting, and a variety of other energy efficiency and infrastructure upgrades that improve overall safety and comfort for teachers and students. The program goes beyond technology upgrades by connecting energy improvements with the learning environment through real-world, hands-on activities for students and professional development for teachers, including an annual Summer of STEM program. About South San Francisco Unified School District: To learn more about the District, visit: https://www.ssfusd.org/. To learn more about SSFUSD’s energy and STEM education program, read the case study at: https://engieservices.us/success-stories/success-story-south-san-francisco-unified-school-district/. About ENGIE Services U.S.: ENGIE Services U.S. is a national energy company that works with education, government, commercial, industrial, and other organizations. We deliver integrated Energy Effective™ programs that drive sustainable results. As part of the #1 energy services provider in the world, we provide an extensive set of energy and sustainability management services to thousands of customers throughout the United States. Over the past 40 years, ENGIE Services U.S. has provided more than $2.7 billion in savings for our customers. For more information, please visit https://engieservices.us, or contact Lani Wild, Manager of Communications, at 415-735-9080. The Center for Green Schools at the U.S. Green Building Council (USGBC) believes that all students deserve to attend sustainable schools that enhance their health and prepare them for 21st century careers. The Center encourages communities to work together toward a future that is healthier for people and the planet. Through its educational resources, professional learning networks, and industry-recognized tools, it equips supporters to educate students about global sustainability and deepen learning by acting in their communities. 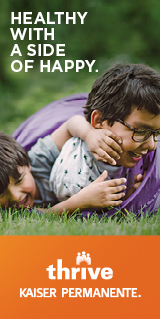 For more information, visit centerforgreenschools.org and connect on Twitter, Facebook and Instagram. The Green Schools National Network (GSNN) advances the national green and healthy schools movement by connecting like-minded and passionate education, non-profit, corporate, and public sector individuals and organizations. GSNN is nationally recognized as the premier partner in advancing collaboration to integrate a green and healthy culture in schools to ensure that current and future generations of students are environmentally literate as well as practice and promote sustainability in their communities. For more information, visit greenschoolsnationalnetwork.org and connect on Twitter, Facebook and LinkedIn.